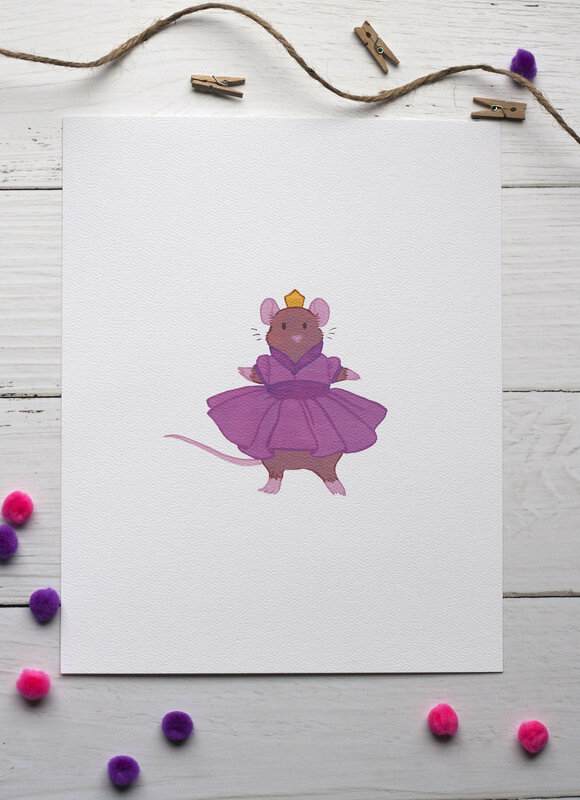 Featuring a sweet little mouse in pink playing dress-up, this high-quality print is produced from an original gouache painting done in my home studio. 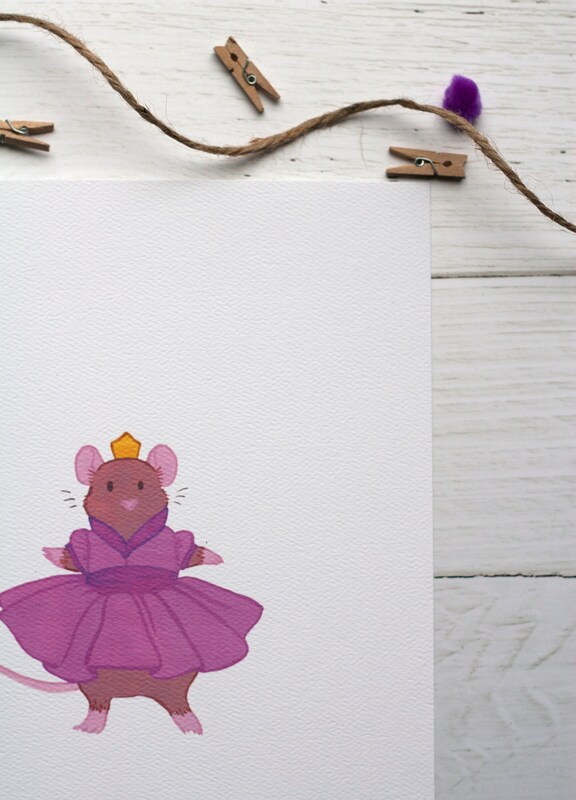 Perfect for a nursery decoration or on a twirling little one's wall. 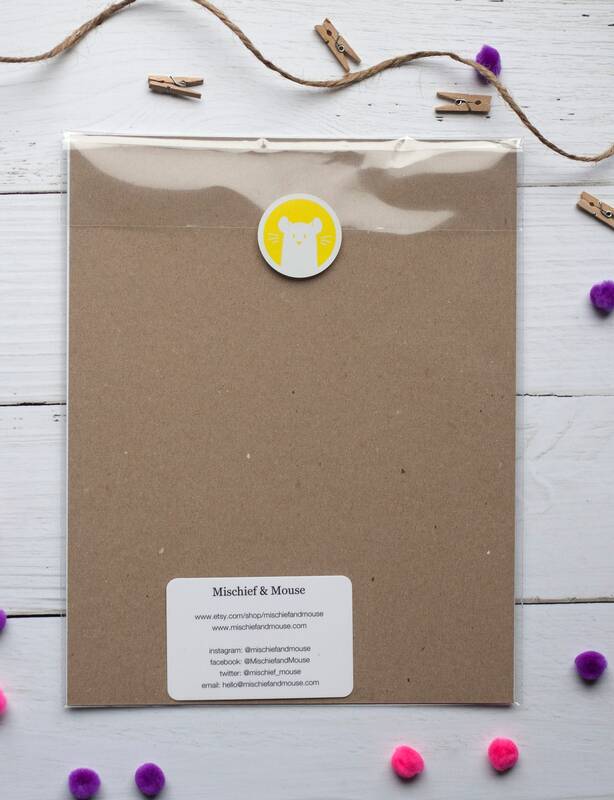 Items come wrapped in tissue with a Mischief & Mouse logo sticker and a thank-you note. If multiple listings are purchased, items will be wrapped separately but packed in the same box. Ready to ship and is mailed 1-3 business days after the time of purchase. If you have any questions about this item please let me know. At this time I'm not taking custom orders or requests to personalize items. 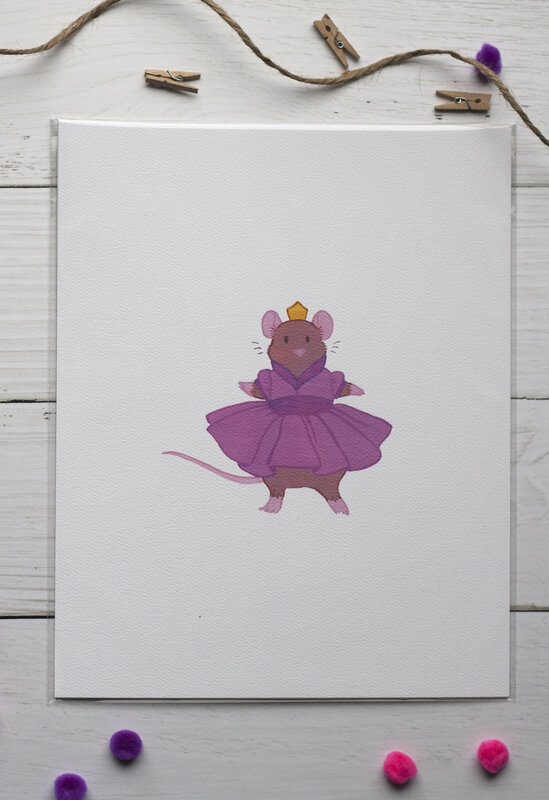 All orders ship wrapped in tissue with a Mischief & Mouse logo sticker. If multiple listings are purchased, items will be wrapped separately but packed in the same box. If you're purchasing items as a gift and would like to send along a note, feel free to type the desired message in the Notes to Seller field during checkout. Please let me know if you would like the packing slip left out of the packaging. If item is not clearly noted as a gift, the thank you note will be addressed to the purchaser and a packing slip will be included in the package. Please send me a message if you have any questions or problems with your order. 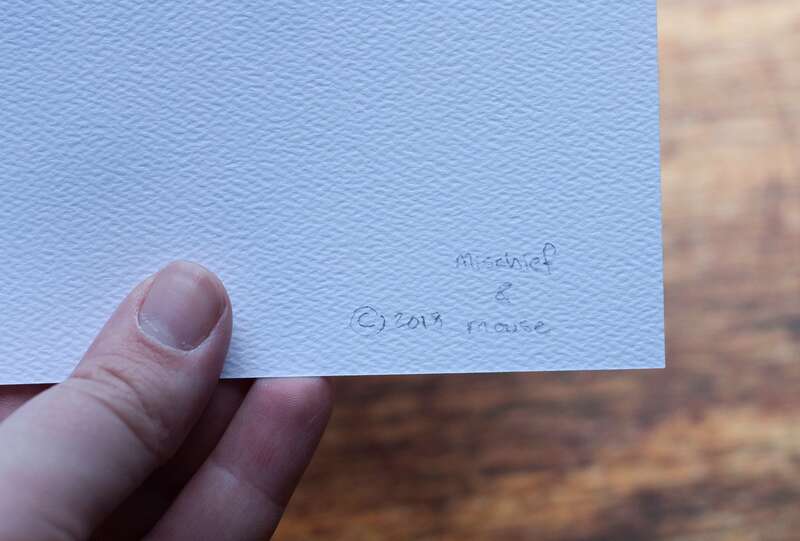 © 2019 Mischief & Mouse.